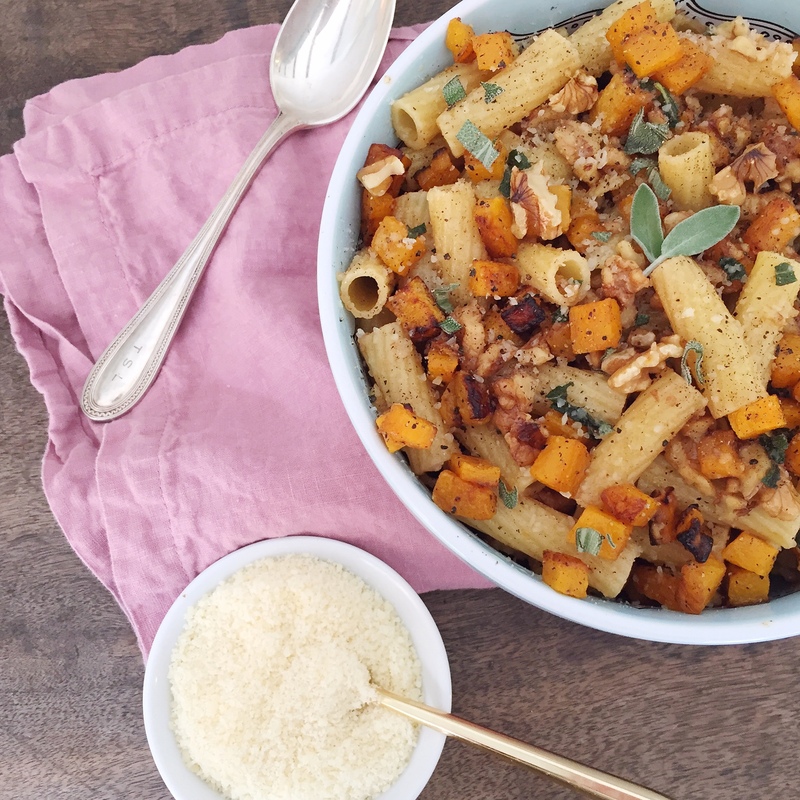 Rigatoni with Butternut Squash, Walnuts and Sage. Cube butternut squash into ½ inch pieces, and toss with salt, pepper and olive oil on a baking sheet. Bake the squash for 35-40 minutes at 450 degrees, until the cubes are soft and browned. 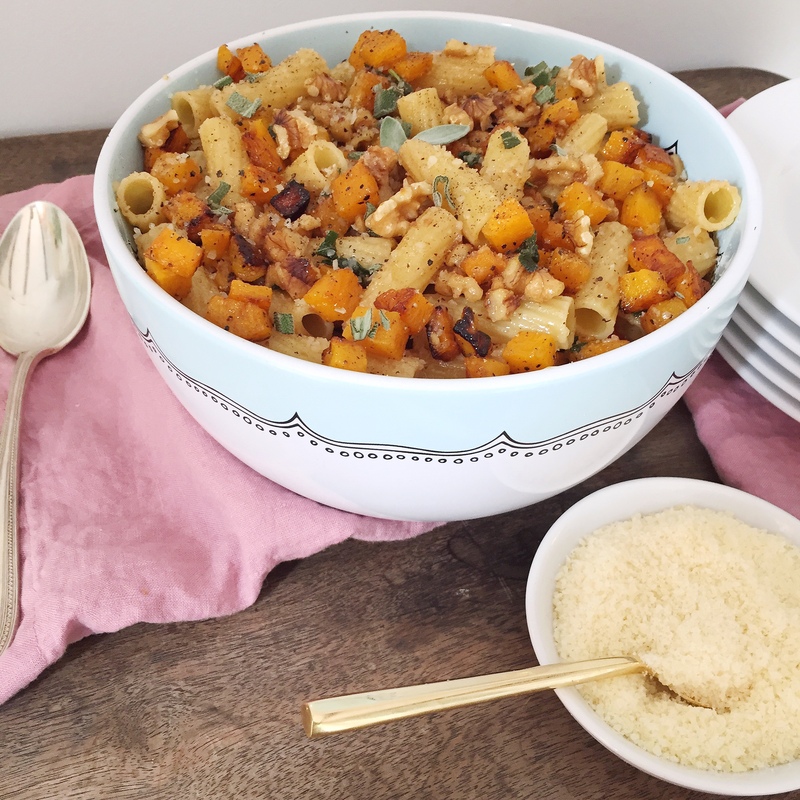 While the squash is cooking, boil a pot of salted water and cook the Barilla Rigatoni to al dente texture. Drain the pasta, reserving ¼ cup of the pasta water. Return the empty pot to the stove and add 7 tablespoons of butter, cook over medium-low heat for 4-5 minutes just until the butter starts to get browned. Add in chopped sage and walnuts to the butter and cook for another 1-2 minutes. 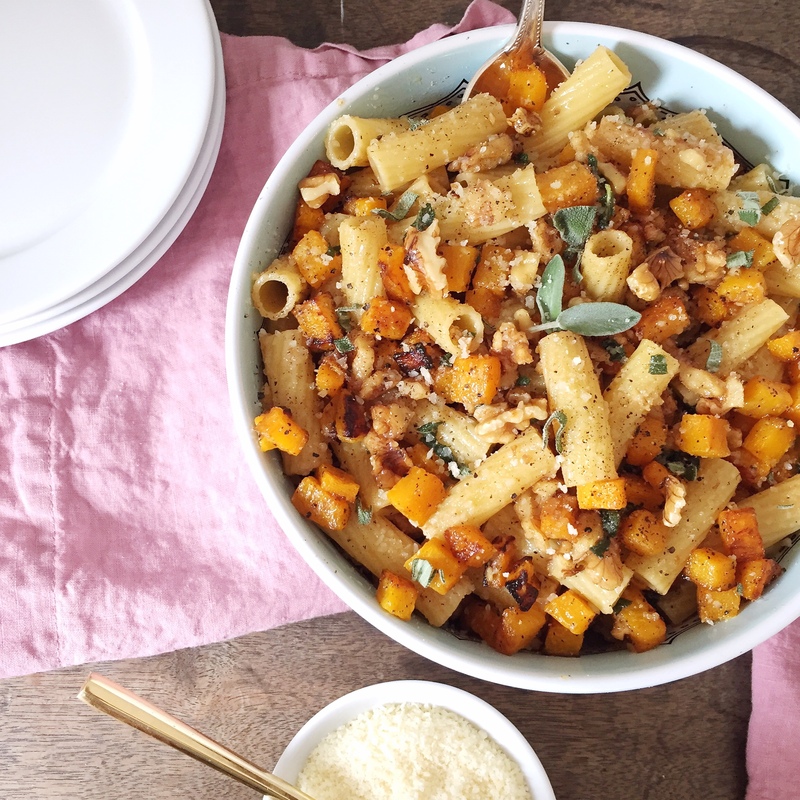 Toss pasta and butternut squash into the butter mixture over low heat; fold in Parmesan cheese and season with salt and pepper. Serve immediately with more freshly grated Parmesan cheese and chopped sage. 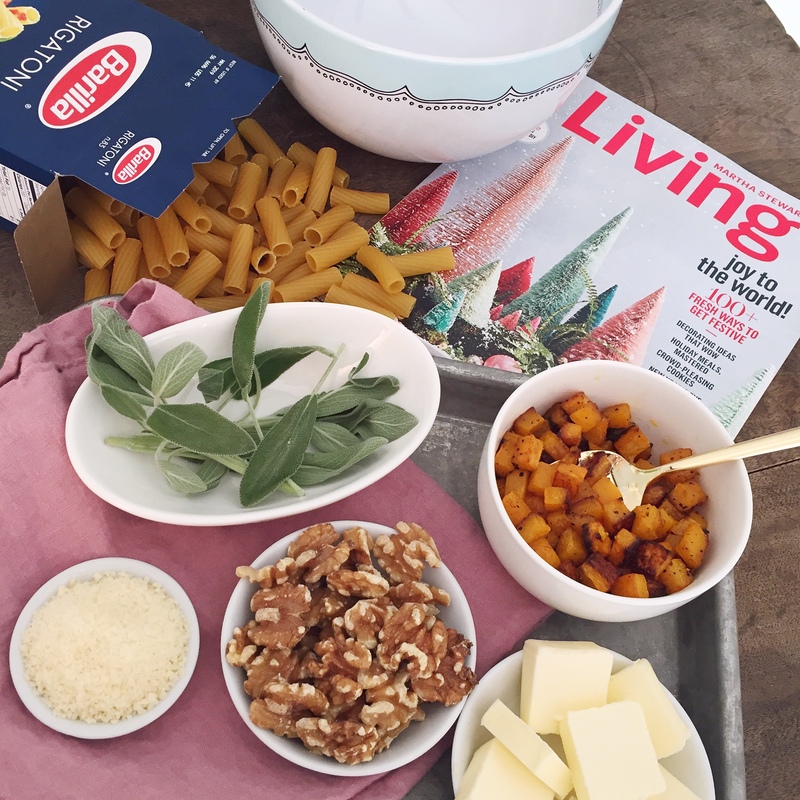 Please note: This post was created in partnership with Martha Stewart Living and Barilla®. All opinions and images are my own. 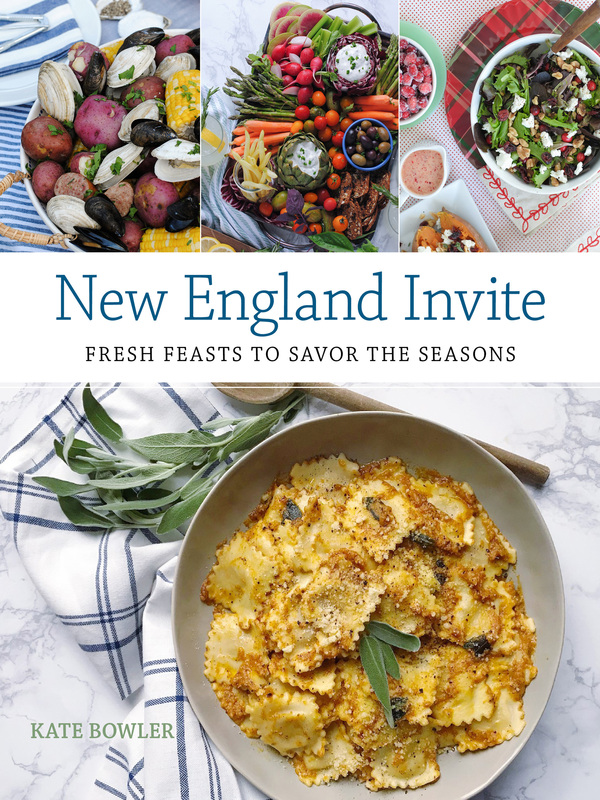 Thanksgiving Recipe Inspiration. 50 Holiday Gift Ideas Under $50. 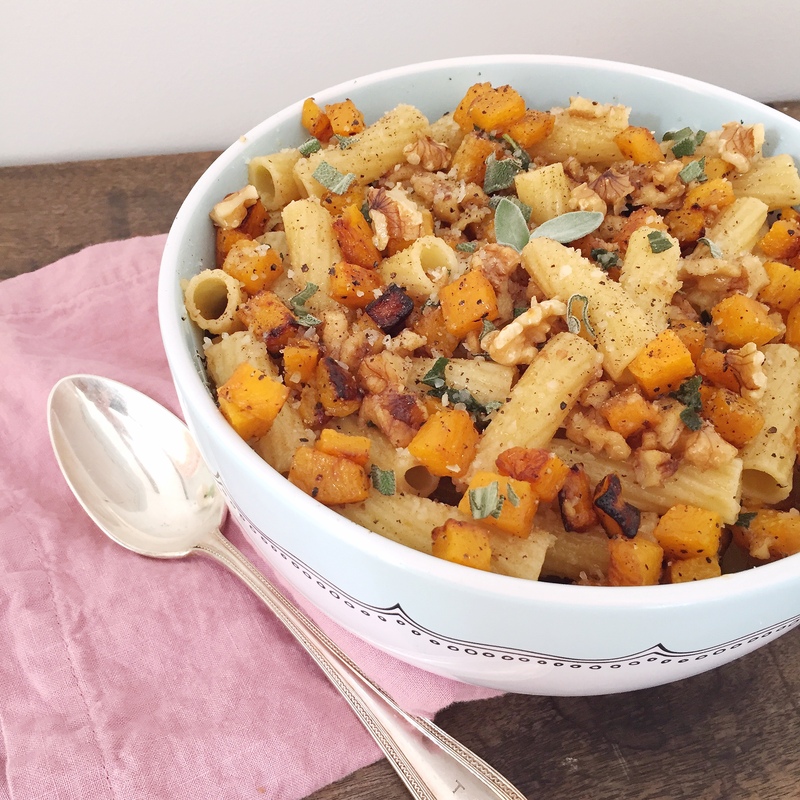 3 Responses to "Rigatoni with Butternut Squash, Walnuts and Sage." 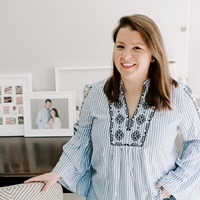 Thanks for all of these great recipes! I can’t wait to try the lime chicken tacos. There is a print option! If you scroll down to the recipe, to the right of the title is a little pink printer icon you can click to print the recipe card. Thanks for reading!